My Little Corner of the World: Why Would Anyone Want To "Set Fire to the Rain"? Why Would Anyone Want To "Set Fire to the Rain"? OK, fine... I realize that taking a relatively-low-resolution photo of a triple-waterspout and posting it larger than the native resolution means it will be all pixelly and lose much of the impact... I get it, ok? 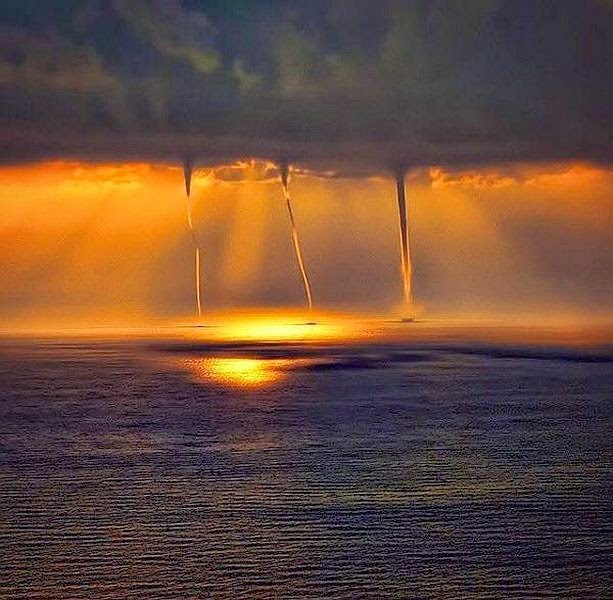 Still, sometimes, you find an awesome triple waterspout photo and you want to share it in your blog and you don't want to post it small... I mean, I'm sure all of you have run into similar situations in your own blogs, right? So you understand the dilemma I find myself wrestling with? Do I post it small, or big + low res? Where does a person have to go inside in order to justify such unfathomable cruelty? I could get lost in that era. It's a danger for me, personally. Would I want to go to Auschwitz and walk around for the day? Yes. Would it be good for me? I don't know. It is overwhelming. Is it good to risk permanent scarring? Is it better to force myself to turn away, to not look at it, or contemplate it, for my own sanity's sake? Face a harsh reality, or avoid it? What... is... better? OK, that's a rabbit hole I don't think I should dive down at the moment. It's dark. Time to risk being labeled superficial/shallow, and lighten the mood! Let's see? What do I have that's vapid and safe? 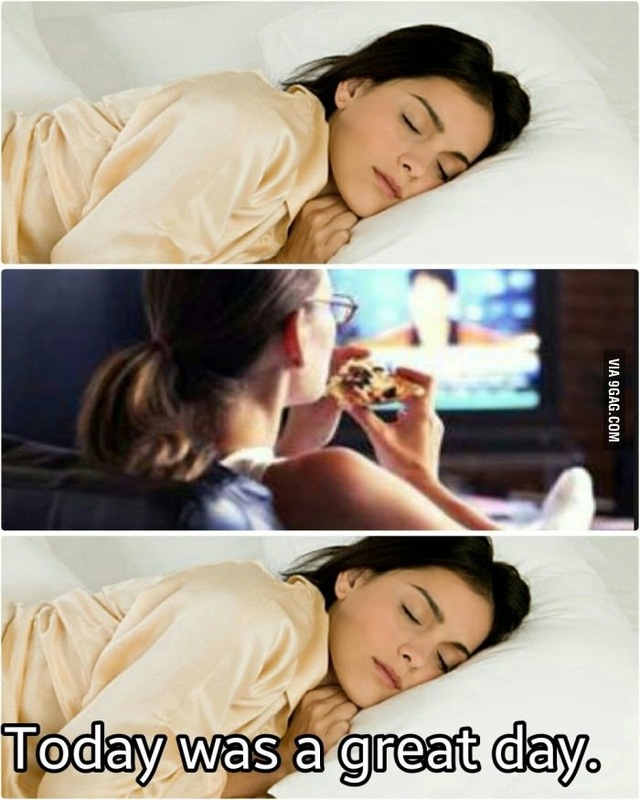 Yep... sleep late, get up, marathon a show online, stay up late, go to bed again... ah, a great day! For me, lately, it was season 6 of Justified. Look, why don't more folks love the show Justified? Why the heck not!? It's the best show on TV! Dadgummit, go watch it, right now! If you are an Amazon Prime member, stop reading this stupid blog, and go watch some Justified. Trust me, you'll love it. You'll understand why I have a man-crush on Timothy Olyphant. He is The Man. Hey, I had my friend Carey build me a new computer this past week. Yep, good ol' "Crown Stealer" (my old computer) has been retired. I'm writing this blog post from my brand spanking new screaming machine, affectionately called "Computurd"... Hey, I couldn't think of anything more creative at the time. My friend Vye built Crown Stealer in January of 2009. It had a good run. The only thing I can recall upgrading in all that time was the video card (I might have had to replace the power supply, I don't quite recall...). Anyways, all due respect to Vye and his rig-building prowess, my new rig is amazing. I don't really have anything awesome to share. Gahhh! Flash craving! I want a burger from Slater's 50/50! Good thing it's midnight... they're closed. Otherwise, I might have run out to get it. Instead, I shall finish this post, then go the heck to bed. How sad. No amazing burger for me. Sometimes... I'm driving in my car (oddly enough) and I get really tense and wired inside, and I just want to scream at the top of my lungs... I get all shaky and vibraty and I want to punch something, break something... I wonder what that is? I get all ragey, not at anything in particular, just in general. I want to explode. 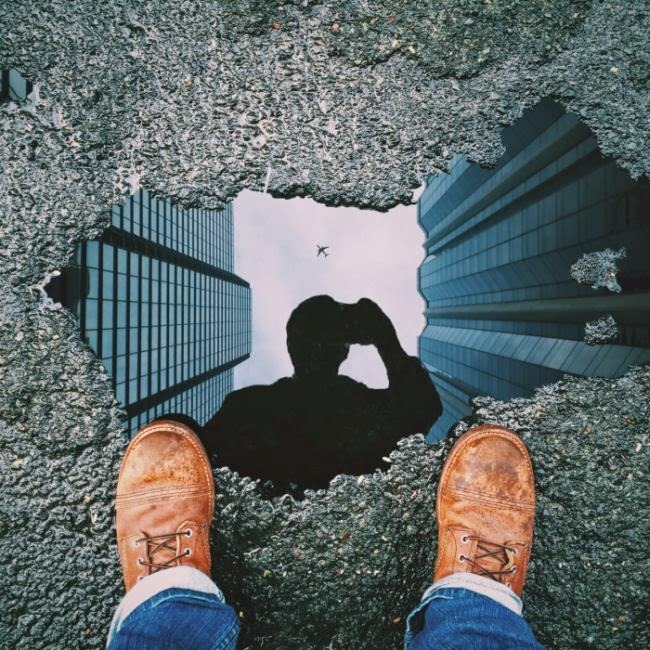 Do you ever feel that way, relatively-randomly? If so, how do you deal with it? It's one of those moments where I can disconnect a part of myself and observe myself, and analyze it as it's happening... I ask myself, "what the heck is going on here?" as I'm also trembling with an unfocused anger... I usually end up putting my radio onto a station with rock music cranked really loudly, and sing along with it for a few songs. That seems to help. I keep putting off reading Words of Radiance, by the amazing Brandon Sanderson. The reason? It is Book 2 in a series (The Stormlight Archive)... I really need to re-read volume 1 before starting it... but volume one is 1,000 pages... I know that will take me a while... do I skip the re-read of Volume 1 and just dive into volume 2 (also 1,000 pages)? Or do I commit the next two months to reading both? Why are you still reading this? Are you intent on humoring me? Don't you know that if you wade through all this random vacuous nonsense then I'm apt to think it's a good thing, and unload more upon you at regular intervals? Why would you reward me like that? Punish me, dangit! Otherwise I'll keep doing this! 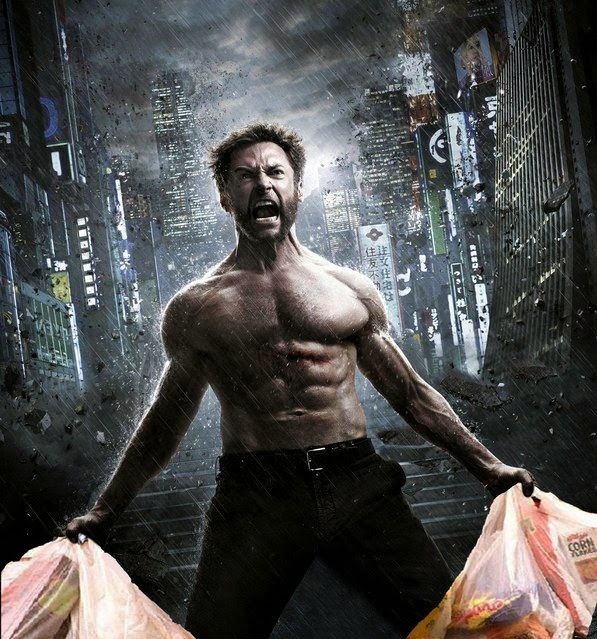 Yes... Wolverine carrying groceries... that's what I've been reduced to. 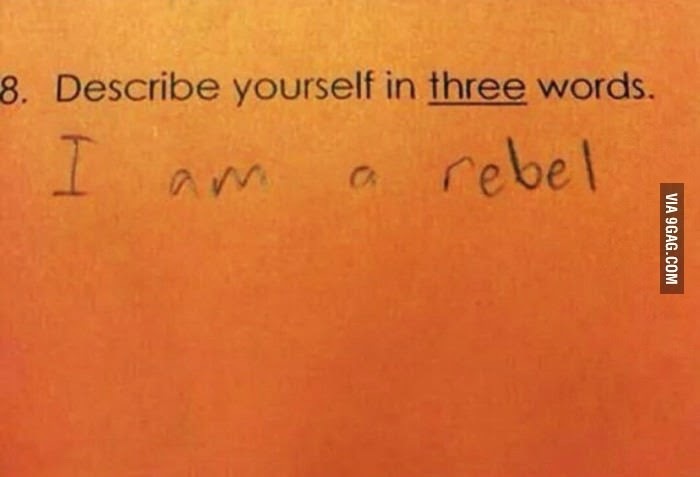 And, frankly, you are partially to blame. I'm going to end this. Gee, I bet you're heartbroken, eh? Leave a comment! Or not! Either way, it's all good! I love you either way!